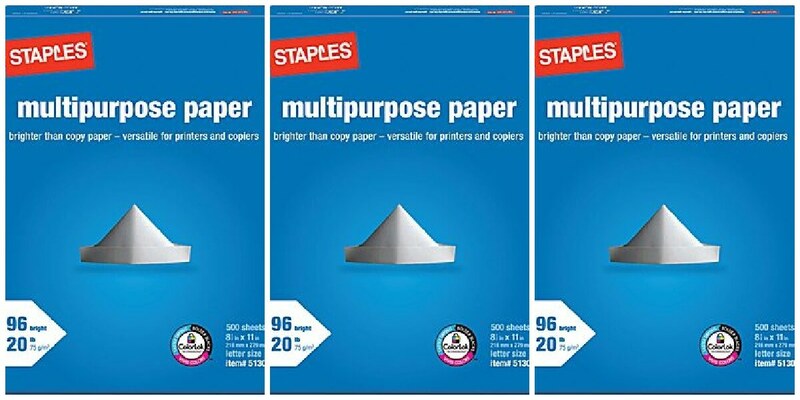 New Staples Coupons – $0.01 Ream of Paper, $1 Case of Paper, 15% off UPS Shipping & More! 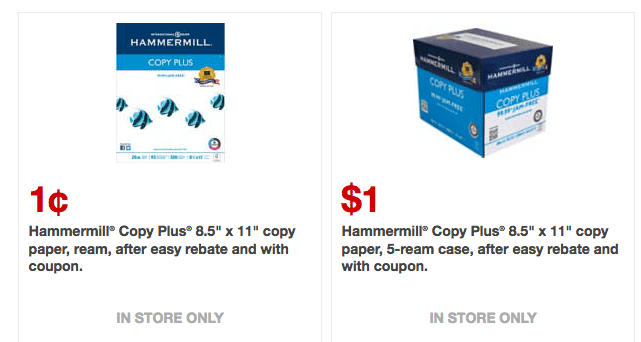 1¢ Hammermill Copy Plus 8.5″ x 11″ copy paper, ream, after easy rebate and with coupon. $1 Hammermill Copy Plus® 8.5″ x 11″ copy paper, 5-ream case, after easy rebate and with coupon. Free shredding services, up to 2 lb. $2.99. Regional bottled spring water, 24/pack. Check out the Staples Deals for the week before you head out to the store! FREE Revlon Tweezers at Target! FREE Infusium Repair + Renew Hair Care Products at ShopRite!